Craig graduated from Champlain College in his home state of Vermont with a degree in criminal justice. Shortly afterward, he left criminal justice and Vermont behind for the Colorado lifestyle and a 20+ year career in construction. Craig has worked as a carpenter and project manager. Early on, he did solarium and sun space installations. 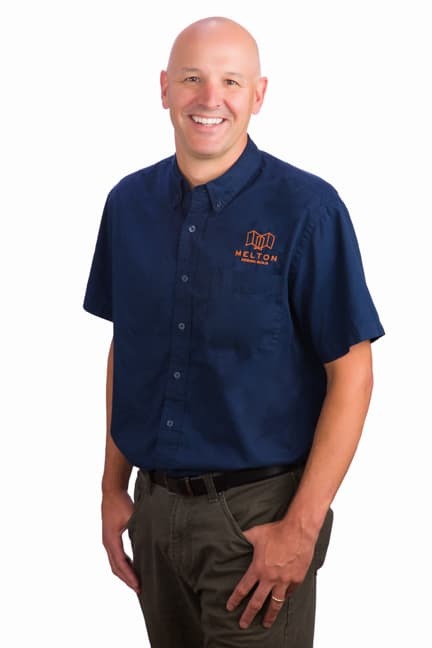 He first began his career with Melton Design Build as a lead carpenter in 2004, and progressed his career through the production department all the way to Director of Production. Craig’s excellent organization, management skills, and knowledge make him an excellent fit for the Design Manager role. When Craig’s not working, he enjoys all the benefits of living in Colorado – skiing, snowboarding, road biking, mountain biking, hiking and more – all in the company of his wife and young son.